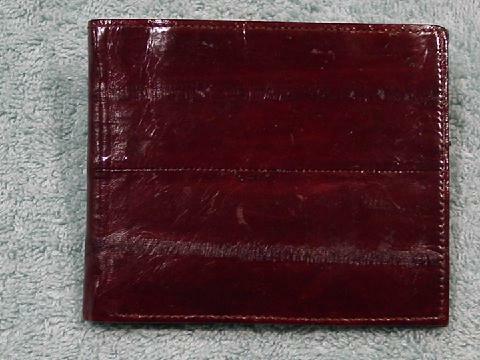 This dark burgundy-brown eelskin wallet has a "man's" billfold styling. 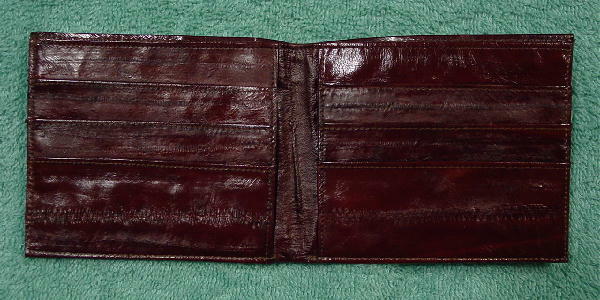 Open it and you'll find that the top has two separate dollar bill sections, lined in a patterned golden brown lining. 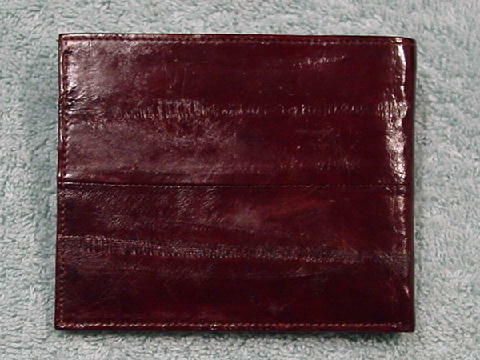 The right and the left side each have three fully lined compartments. 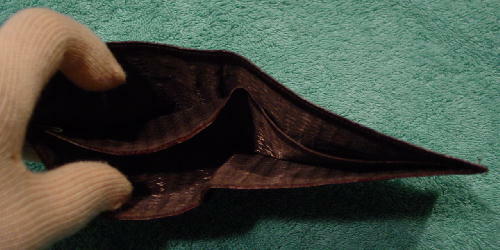 It's from a stylist's accessories/props collection.